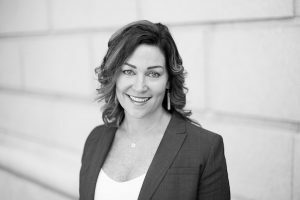 SACRAMENTO – Strategies 360, recognized as the leading public affairs firm in the western United States, is thrilled to announce today the hiring of Andrea Deveau, who will lead the firm’s growing practice in Sacramento. Andrea joins the Sacramento team as a well-known and highly effective advocacy veteran with deep expertise in energy and technology policy. Andrea most recently served as Vice President of State Policy and Politics for TechNet, where she led the group’s state lobbying efforts since 2016. Under Andrea’s leadership, TechNet’s 50-state advocacy program achieved numerous wins on advanced energy, privacy, security, future of work, and education. Last year alone, Andrea oversaw efforts on 490 bills in 47 state houses, achieving a 92 percent success rate. Click here for more on Andrea’s background and biography. Andrea’s addition to S360 builds on the firm’s rapidly expanding practice in Sacramento, which has coupled highly-skilled government affairs professionals with S360’s well-established public opinion and marketing services in California. Andrea will be leading the S360 team in Sacramento, which includes Vice President Greg Hayes, Vice President of Policy and Communications David Richey, and Director of Government and Public Affairs Tatiana Stewart. The firm also expanded its practice in Los Angles in early 2018 with the hiring of Senior Vice President Larry Chung and Senior Director Nella McOsker.